These stamps are hot pressed on a polymer sheet to perform the channel network and the cavities set of a microfluidic device. The small details corresponding to channels and cavities are built by nickel electroplating on a stainless steel disc on a mirror polished surface. 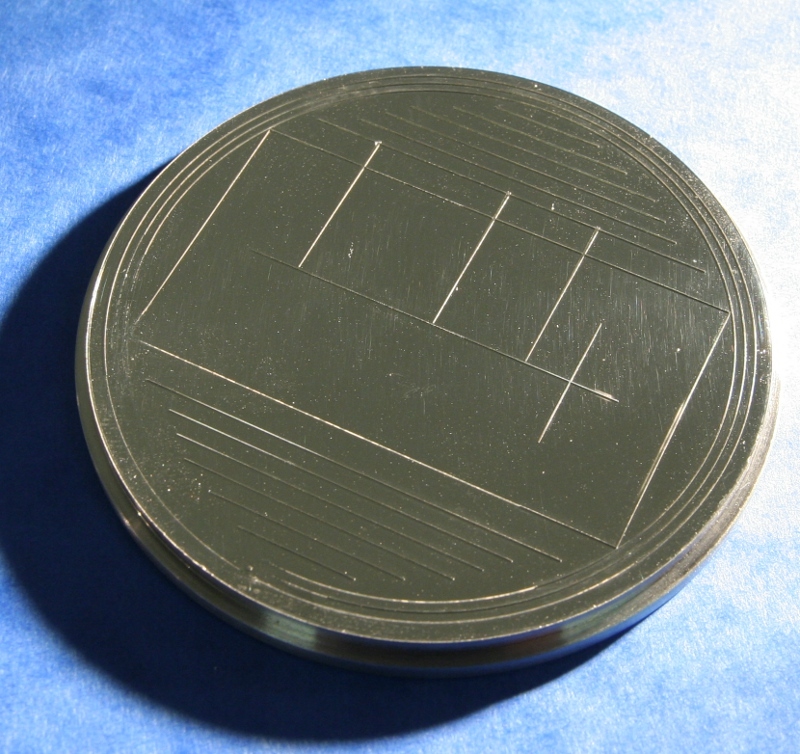 A support disc in stainless steel with a mirror polished face. Its diameter is about 3 inches (75mm). 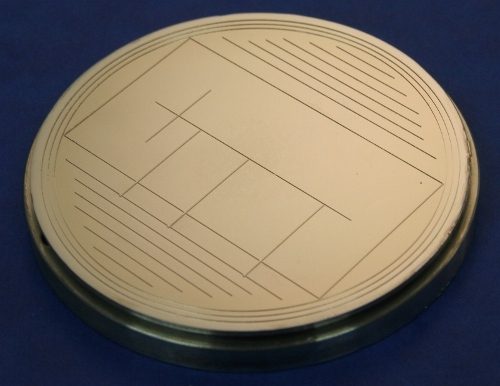 The width of the thinner channels is 25µm with shape factor upto 3 or 4. The depth channels and cavities is about 100µm. It is fixed by the photoresist thickness. The photoresist is SU8 type. It acts as a mold for the nickel electroplating. Then, the thickness can be reduced and adjusted by a final surfacing before photoresist removal. The customer has to provide the drawing of the stainless steel disc and the drawing of the channel and cavities network (pdf format). These stamps are very robust. Certain stamps when used with ThermoMac3 are able to support more than 1000 device pressings made in COC polymer without visible deformation. These Stamps are manufactured on the technology platform NANOLYON. The making process has been developed at the Lyon Institute of Nanotechnology. Joomla 1.7 Templates By JM-Experts!